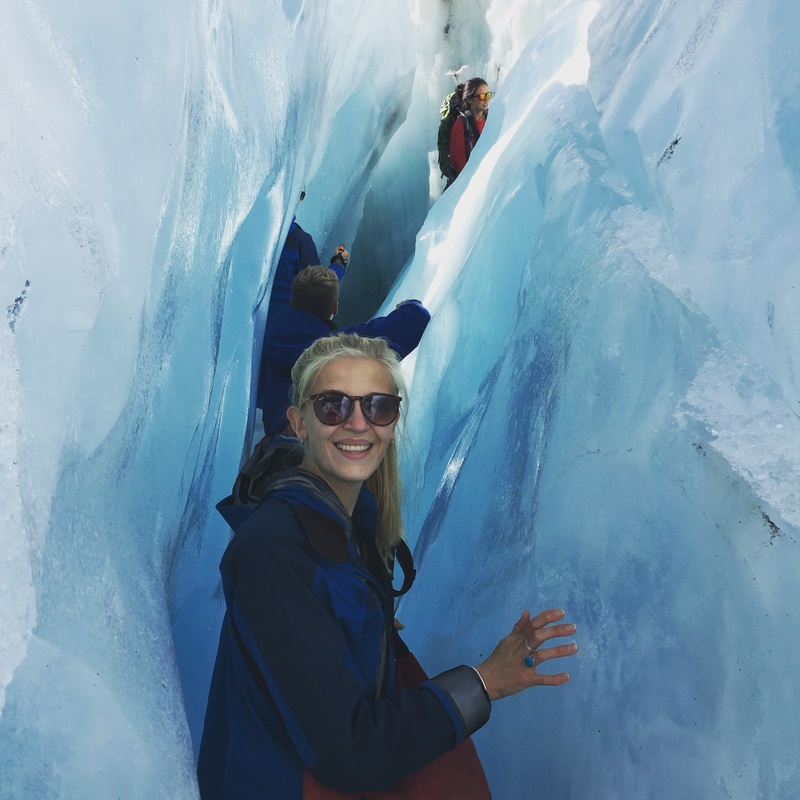 This trip was one of the extras on our ‘Kitchen Sink’ package, which I’m glad of because it would have cost $130 to add on as an extra if not! 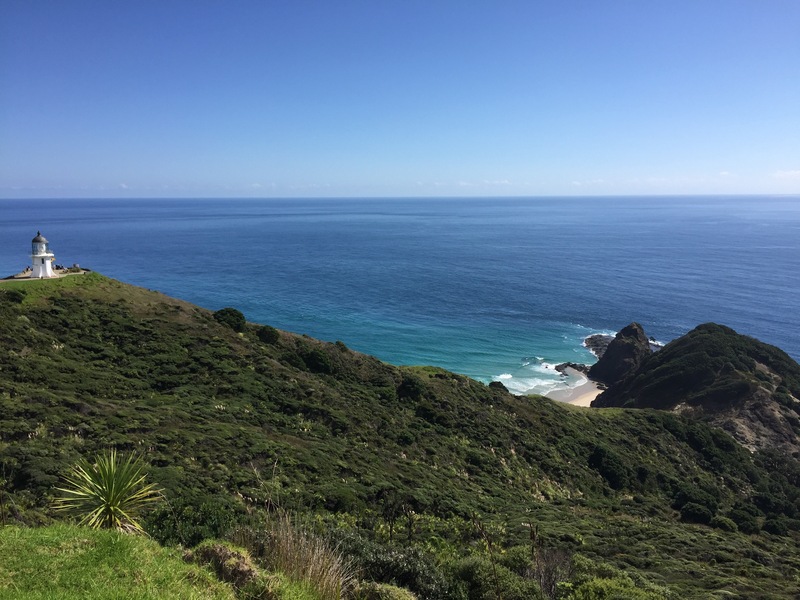 We left the hostel at half past 7 and headed out to Cape Reinga. Once again we had multiple sights to see during the day, starting with 90 mile beach. 90 mile beach is a 80-something km beach which vehicles are allowed to drive on. 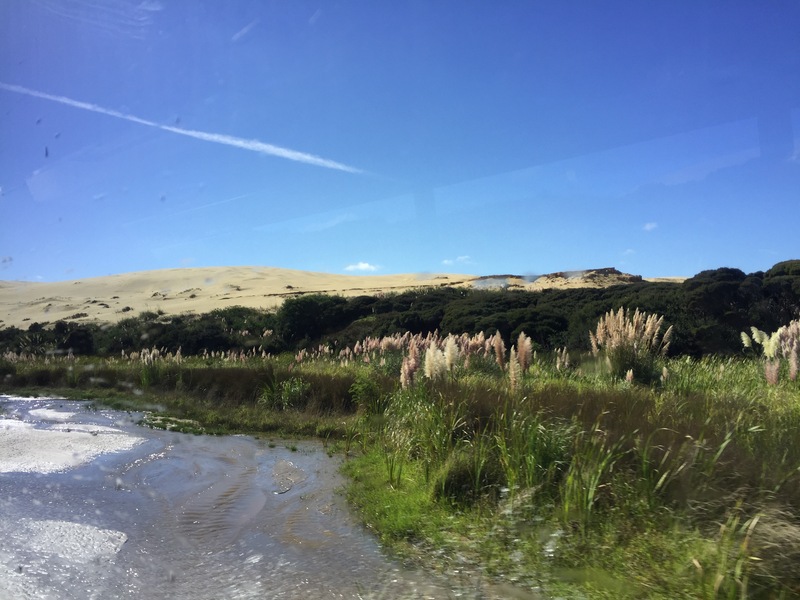 Our driver told us that Captain Cook named this beach when he ‘discovered’ New Zealand, which seems like a pretty stupid name for a beach that is nowhere near 90 miles long but who am I to argue with the great Cook. We drove along the length of the beach in our coach-truck and stopped for some photos around the halfway mark. 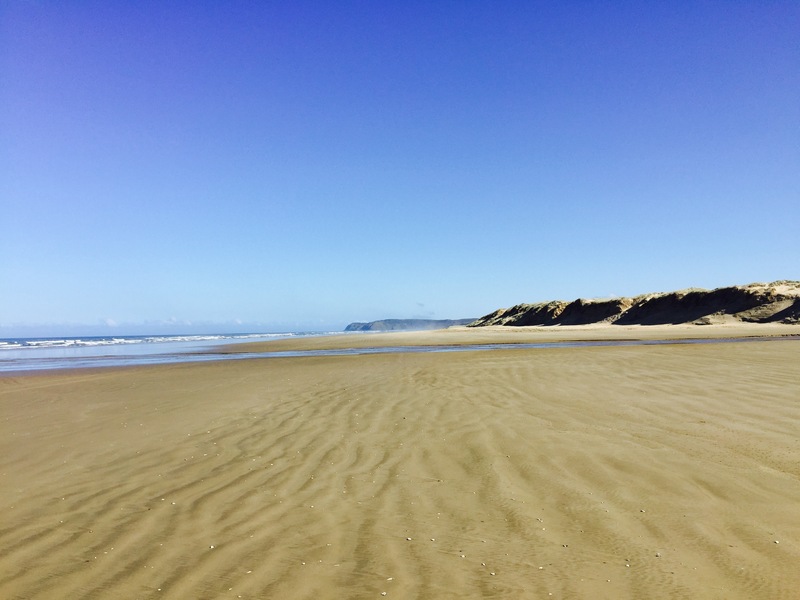 Although vehicles were allowed onto the sand you wouldn’t have known, and I have never seen such a quiet yet huge expanse of beach! I am amazed everyday at how clean and tidy New Zealand is of rubbish etc. ! 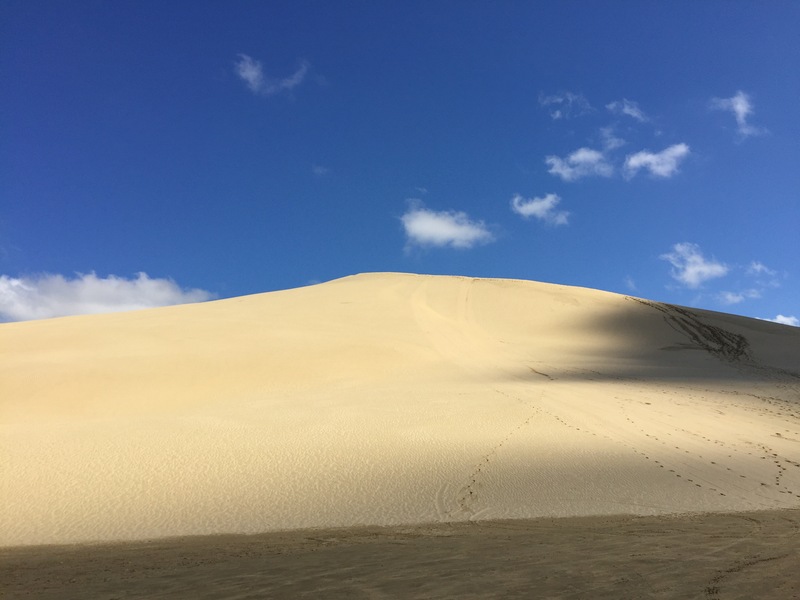 We then headed to the neighbouring sand dunes, which looked like they belonged more in the dessert than in New Zealand and stopped at one that was around 80m high to sand board. 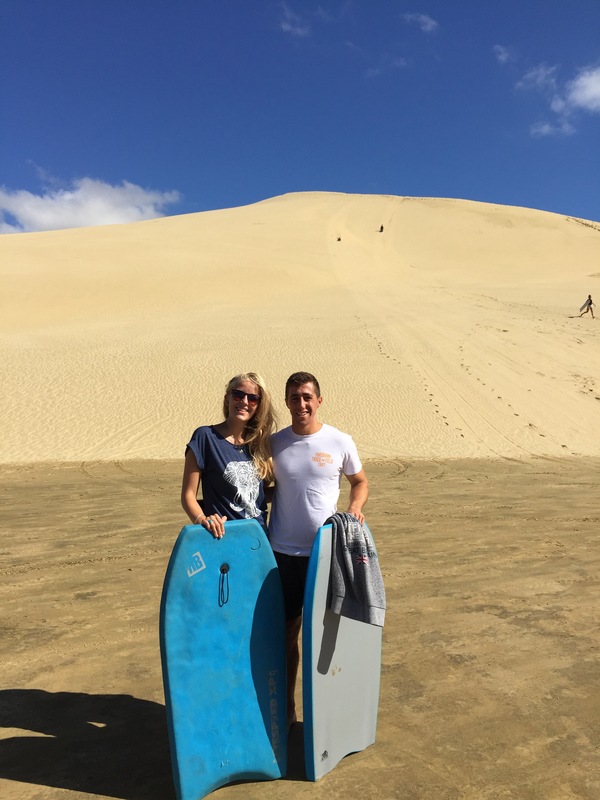 We all climbed up to the top of the dunes (harder than it looks) and then sped down the side on body boards, which was so fun! 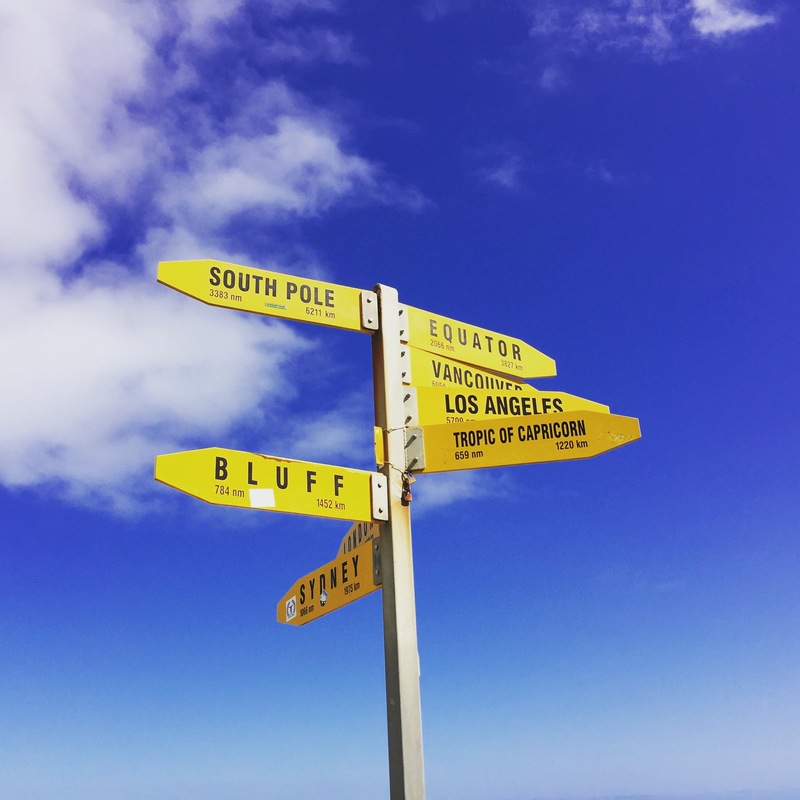 Next we headed to Cape Reigna, the most Northern point of New Zealand. 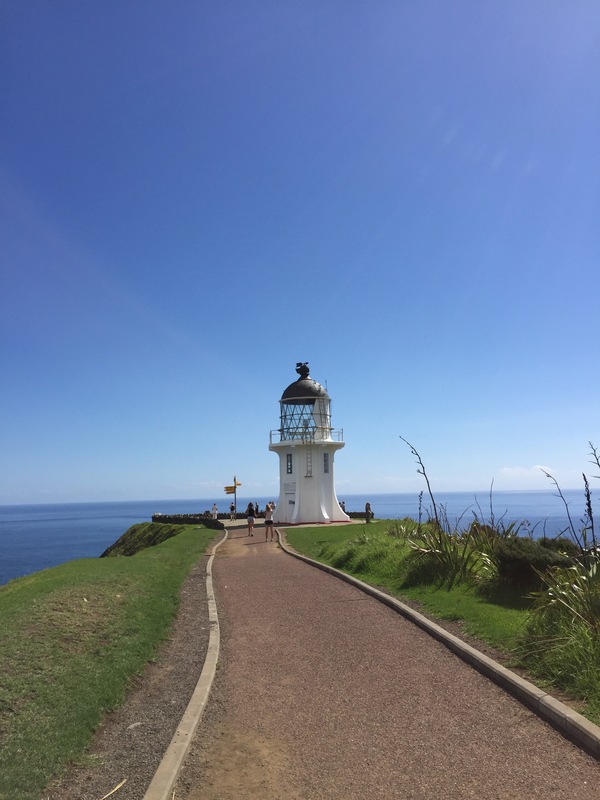 We walked down to the lighthouse and saw where the Pacific Ocean and Tasman Sea meet, as well as seeing some gorgeous views out over the cliffs. After this we stopped at a beach for a quick picnic lunch. 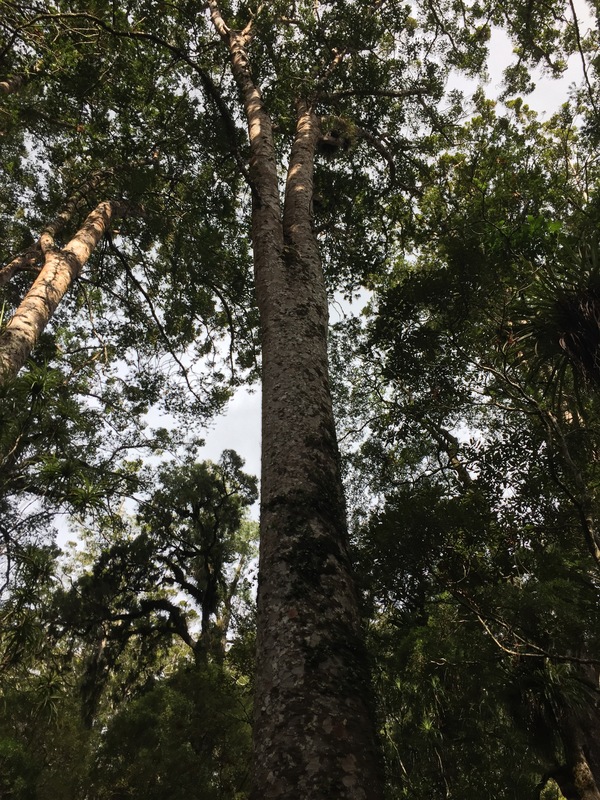 Our last stops for the day were a wood carving workshop and a forest to see the huge Kauri trees, which tower metres above the ground and at their largest can get to 16m in trunk diameter! We then stopped for some fish and chips, which used daily local catches – Yum! We arrived back into the Bay of Islands at around 6.30, where we made dinner and had a short walk around the local town of Pahiha (where we were staying) before heading to bed. Kiwi Experience Day 1: Dolphin Spotting at the Bay of Islands, New Zealand.